Fall is here and I’m celebrating by doing all I can to stay warm and cozy. I’ve been making wonderful soups and stews, roasting a ton of root veggies and sipping steamy mugs of tea. It’s amazing how a seasonal shift makes a world of difference in what the body wants. Needless to say, the last thing my body feels like is an icy, fruity smoothie when I wake up to a chilly, rainy Vancouver morning. During the summer, my nutrient rich, refreshing smoothies were light and balancing, helping to cool and cleanse my body. But with the change in season, I want warming foods and spicy fall flavours while still being able to enjoy the convenience of blitzing my breakfast every now and again. 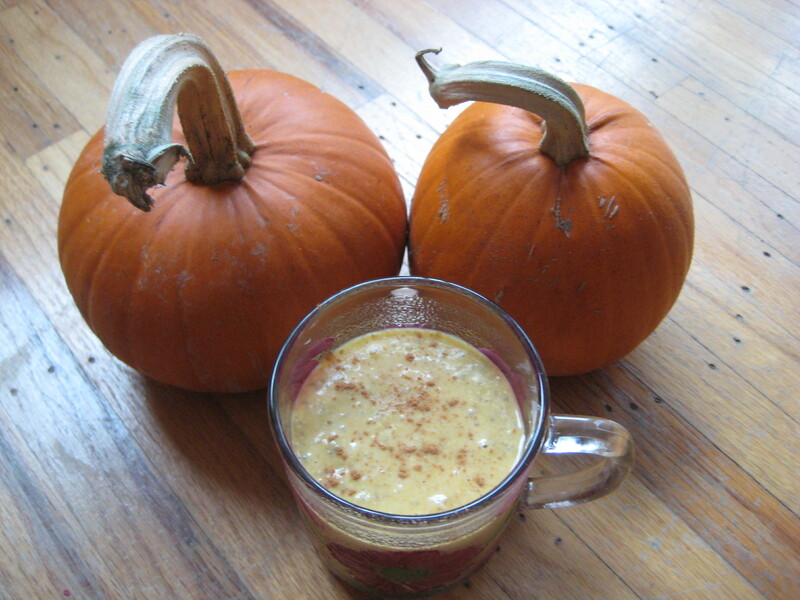 Behold, the pumpkin spice smoothie! This wonderful breakfast may still be cold in temperature, but the spices together with the creaminess of the pumpkin satisfy my cravings for rich foods and warming flavours. Plus, it is completely delicious. I mean, come on, it tastes like pumpkin pie! Now that you have an idea of just how good this is for you, go make it! Categories: Nutrition, Recipes | Permalink. Recipe: A Delicious… on Sprouting!